Public relations Nagawa Heisei 22 years 8 month No. Heisei main contents of 22 years 8 month No. 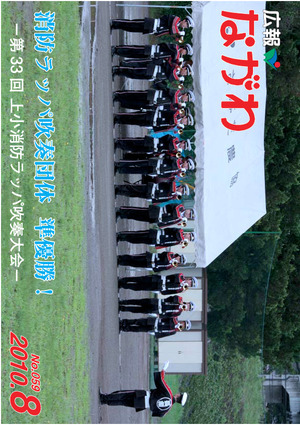 ○ Kamico section runner-fire trumpet blowing tournament organization! ○ "Let's received a breast cancer screening! (2)"
○ Special Towards the "Hometown Festival of the 6 times black 耀石"